The Strategic Innovation Opportunities Fund may be utilized to improve expertise, pilot innovative programs or as match funds to secure funding from other payer sources. Funds are available for any new or different method, situation, or opportunity that could not have been anticipated, is consistent with, and furthers the Boone County Children's Services Board's mission and priorities. Applications for contingency funding will be accepted to assist agencies encountering an exigent circumstance. An exigent circumstance is a circumstance that requires immediate attention. The objective of the Contingency Funds Request is to assist agencies in dealing with non-recurring capital or service contingencies resulting from conditions beyond their control. The objective of the Supplemental Funds is to assist organizations that have exceeded their funding allocations due to high levels of demand for services. The organization must demonstrate that the service(s) are already funded by the Children’s Services Fund and there is a need for the supplemental funds. To be considered for Supplemental Funds, an organization must notify the Community Services Department at communityservices@boonecountymo.org or (573) 886-4298. No RFP's are currently available. The Strategic Opportunities Fund may be utilized to improve expertise, pilot innovative programs or as match funds to secure funding from other payer sources. 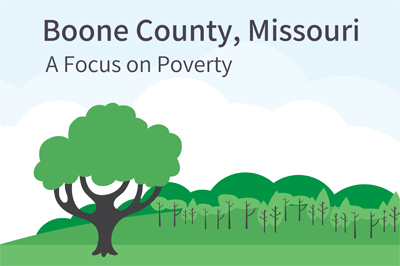 Funds are available for any new or different method, situation, or opportunity that could not have been anticipated, is consistent with, and addresses community health needs, as determined by the Boone County Commission. Applications for emergency funding requests will be accepted to assist organizations in their efforts to mitigate an adverse impact on Boone County's health and well-being due to emergency community health needs. For proposal forms and submission deadlines visit the Victims of Domestic Violence page.